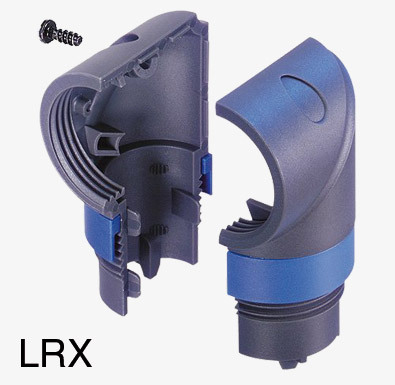 Cable connectors have a very robust plastic shell, with traditional Neutrik chuck-type cable clamp and twistlock, with latch release or locking ring. They use slot/pozi combination screws, so specialist tools are not required for field installation. Contacts can also be soldered. Maximum wire size 4mm sq. stranded, 6mm sq. solid (except NL4FX, see below). Silver plated contacts. All cable connectors are “female” pattern. NL2FX Mates with 2-pole and 4-pole (contacts 1+/1-) panel connectors. Locking ring, 30A rating, cable OD range 6-10mm. NL4FC Mates with 4-pole panel connectors. 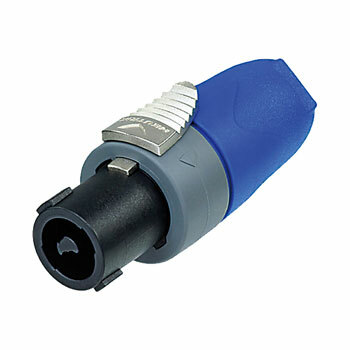 Latch release, 30A rating, cable OD range 5-15mm. NL4FX Mates with 4-pole panel connectors. 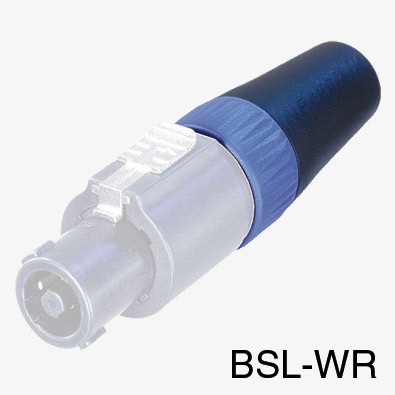 Latch release, 50A rating, cable OD range 6-14mm. One-piece strain relief design, larger latch release, maximum wire size 6mm sq. stranded. NL4FRX As NL4FX but right-angled. NL8FC Mates with 8-pole panel connectors. Latch release, 30A rating, cable OD range 8-20mm. LRX Converts NL4FX to right-angle version without re-termination. 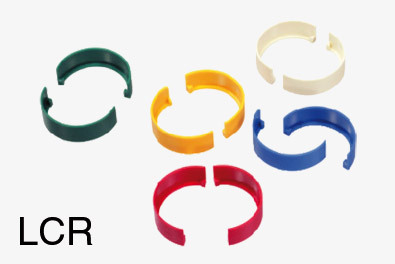 LCR Colour coded rings for NL4FX and NL4FRX. Lockable couplers for joining cables. 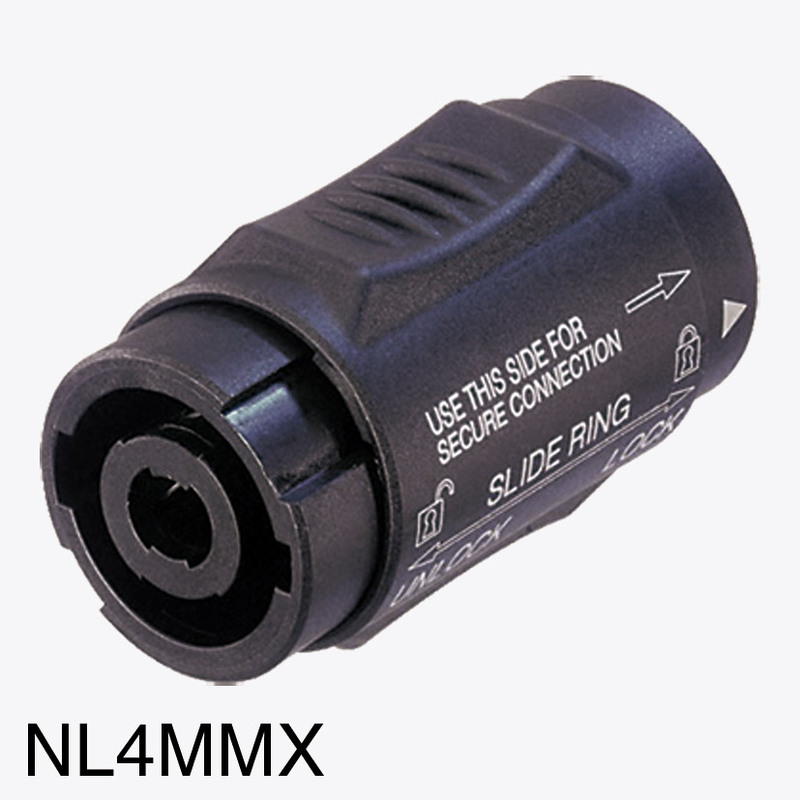 Use NL4MMX for 2-pole and 4-pole types, NL8MM for 8-pole types.